Baumstark said the bond is for funding strictly related to new construction, renovation of existing facilities and the purchase of new technology and equipment. The tax levy increase provides funding for the district’s operating costs such as paying teachers’ salaries, providing employee benefits and supplying educational materials. “We are not seeing new revenues from the state, we’re not seeing new revenues at the federal level. So what that means then is that our local property tax base has to make those investments into its educational system. When you see cuts happening at the state level all that means then is that the local community becomes responsible to maintain,” Baumstark said. The levy increase would charge 65 cents per $100 dollars of the assessed valuation of homes and businesses within Columbia city limits. Columbia School Board Member Jan Mees said part of why the school district is proposing this levy increase is because the school district is still feeling the effects of the 2008 recession. “Home prices are still trying to recuperate. So you know assessed valuations on your home are lower because of that. We always calculate when we set budgets for an annual increase in assessed valuation. Years ago it used to be 8 or 9 percent and now it’s down to between 2 and 3 percent. So even though there is still more building and etcetera, sometimes it doesn’t calculate out that way to the school district as positive as it used to,” Mees said. City voters last approved a tax levy for the public schools in 2012. That 40 cent increase addressed immediate problems within the district such as large class sizes and outdated technology. The other proposal on the April 5 ballot is a $30 million dollar bond, which would go toward construction efforts. Baumstark said the bond is essential for the district to keep up with growth. Should the bond pass, approximately $20 million dollars will go toward construction of another middle school, scheduled to open in 2018. “It’s no secret that Gentry Middle School is over capacity. And so we need to do something especially as we continue to see growth on that side of town to be able address that need,” Baumstark said. If passed, the bond will also be used for additions and expansions to other schools throughout the district. “We don’t always want to be in the business of just building a new building in order to address our growth needs. One of the other things we are also looking at is adding on to existing buildings as well. So we got $11 million dollars set aside to do that,” Baumstark said. 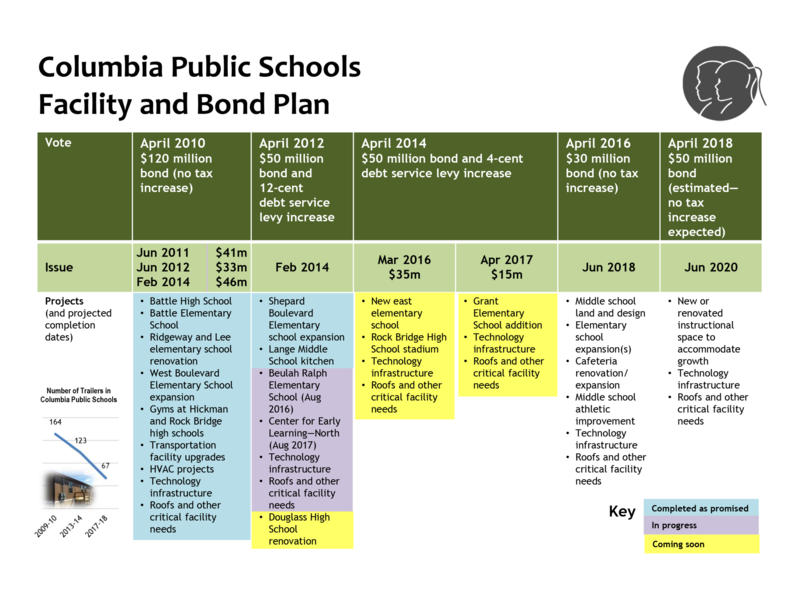 Columbia voters have approved seven bond issues for Columbia public schools since the year 2000, totaling more than $360 million dollars. 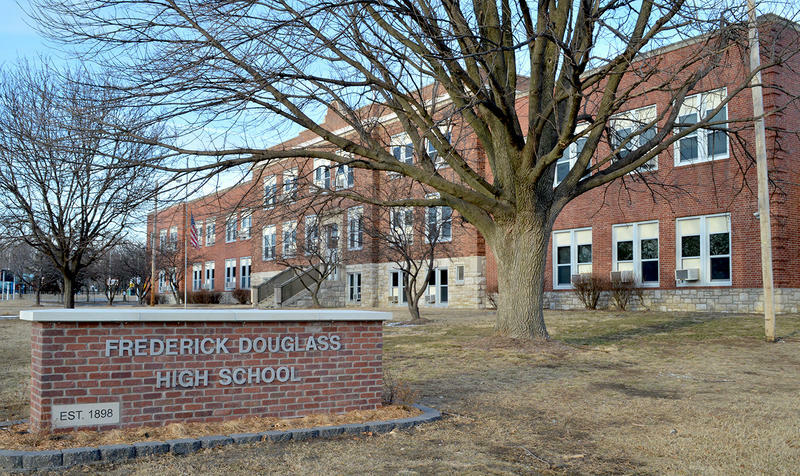 Columbia’s Douglass High School is set to undergo major renovations beginning next summer.